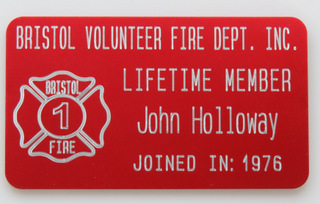 Thick anodized aluminum, custom engraved membership card. Size of card is 3 1/2" x 2". Your choice of colors, engraving and graphics.